Humanities Day events are held in the seminar rooms and lecture halls of the UChicago Hyde Park campus. Each room assignment is listed next to the presentation and in your registration confirmation email. 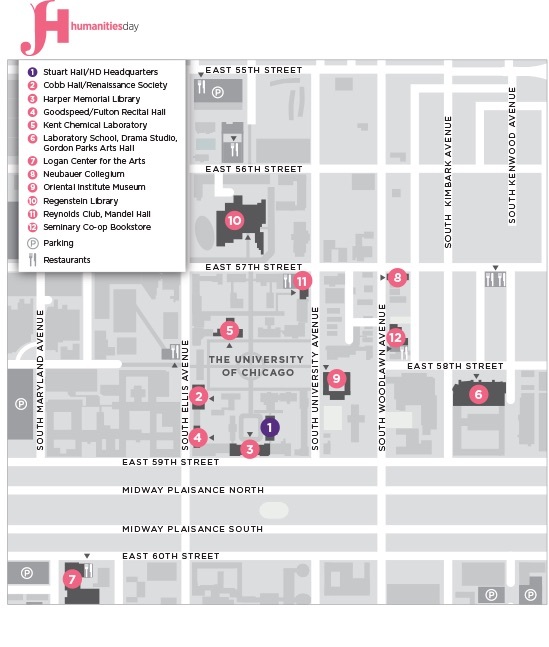 The North Campus Parking Structure is located on the southeast corner of 55th Street and Ellis Avenue at 5501 South Ellis Avenue. Street parking is also available throughout campus and Hyde Park.